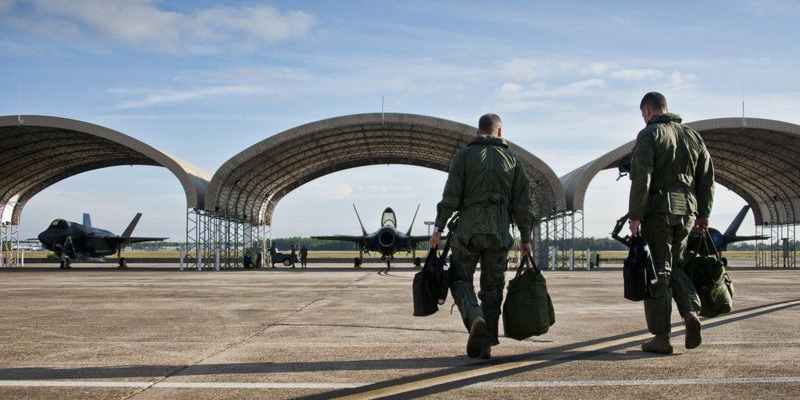 The Air Force has been grappling with a deepening pilot shortage for some time. The recent announcement of a pilot-training program that will include enlisted airmen sparked suggests the service would train enlisted fliers for the first time since World War II. 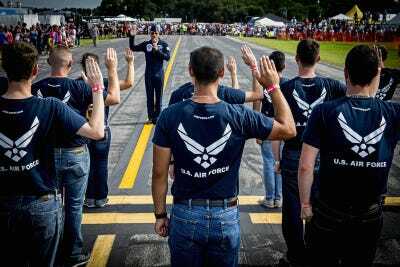 The Air Force has said the program is strictly to evaluate training and teaching methods, however. An email from the chief of the Second Air Force obtained by an unofficial Facebook page in late November appeared to suggest that the Air Force was looking to train enlisted airmen as pilots for manned aircraft – the first time enlisted personnel would receive such training since World War II. 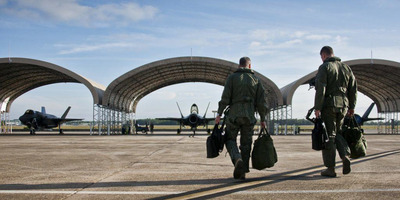 But several Air Force officials have said that the program, called Pilot Training Next, is just to evaluate how airmen learn and how technology can play a role in improving learning. The program, they say, is not designed to put enlisted personnel in the pilot’s seat after it is completed. “We want to select the top-calibre students and give them the tools, objectives and teachers so they can help structure a quality learning environment,” Lt. Col. Robert Vicars, director of the Pilot Training Next program, said in an Air Education and Training Command release last week. Senior Airman Devante Williams/US Air ForceUS Air Force Brig. Gen. Scott Pleus dons his helmet before his first F-35 flight, at Luke Air Force Base, March 18, 2015. The Pilot Training Next program, which will start in February, will be made up of 15 Air Force officers and five enlisted airmen. The officers selected for the class will begin the yearlong Undergraduate Pilot Training course sometime between December and February.The enlisted airmen picked for the program were selected from a pool of airmen who have completed basic training, chosen specifically because they have not attended college. (US Air Force photo/Tech. Sgt. Manuel J. Martinez)Thunderbird pilot Maj. Tyler Ellison gives the oath of enlistment to Florida’s newest airmen at Lakeland, Florida, April, 25, 2015. “In order to be successful, AETC officials are seeking students from different learning backgrounds,” the Air Force said in a release. “Our enlisted airmen are an important part of this program and will help us evaluate the learning methods across ranks, education background, and learning styles,” Vicars said. The plan for the six-month PTN program “is to explore the technology available to produce a student, similarly skilled to a UPT graduate,” a AETC spokeswoman said last week. Officers who complete the PTN course will move on to specialised undergraduate pilot training, while enlisted airmen who complete the course will return to their predetermined technical training. Enlisted graduates of the program will be able to apply their flight hours toward a civilian pilot’s licence, the AETC spokeswoman said. Vicars said the Air Force was interested in building an “intelligent tutor” to monitor students, tracking their individual development and recording how they respond to their learning environment. The PTN program will involve virtual and augmented reality, advanced biometrics, artificial intelligence, and data analytics – all of which can be adjusted to the specific learning assignment or student. Lt. Gen. Steven Kwast, the head of AETC, said the PTN program was part of his command’s effort to make the Air Force more effective and more adaptive. 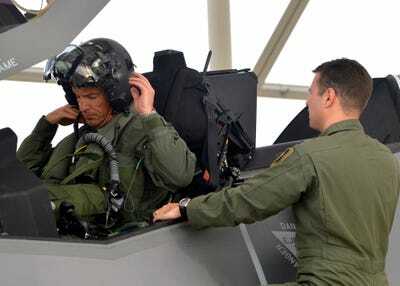 “Creating Pilot Training Next is one step, one milestone, to ensuring America’s Air Force is fuelled with the best pilots in the world,” he said in the release.